The eco-friendly Lagoon Resort awaits you for the finest holiday! In a four-hectare garden landscape, the nine bungalows are located on a raised platform. An absolute bonus is the private balcony - make yourself comfortable and watch numerous birds and curious monkeys in the trees. Don't forget your camera! Nature lovers experience pure paradise. 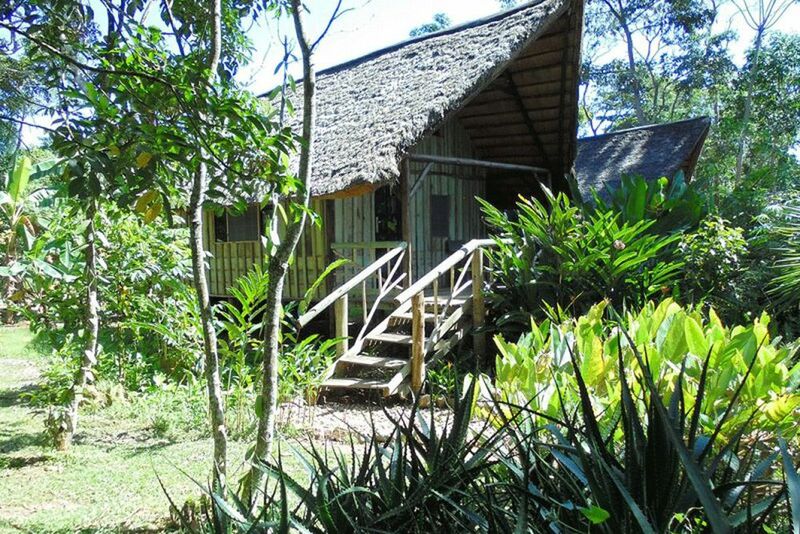 A popular meeting place of this charming eco-resort is the in-house restaurant. With a fantastic view over the Lake Victoria, you can enjoy first-class delicacies of the continental cuisine. Pure relaxation! Here you can end the day in peace. 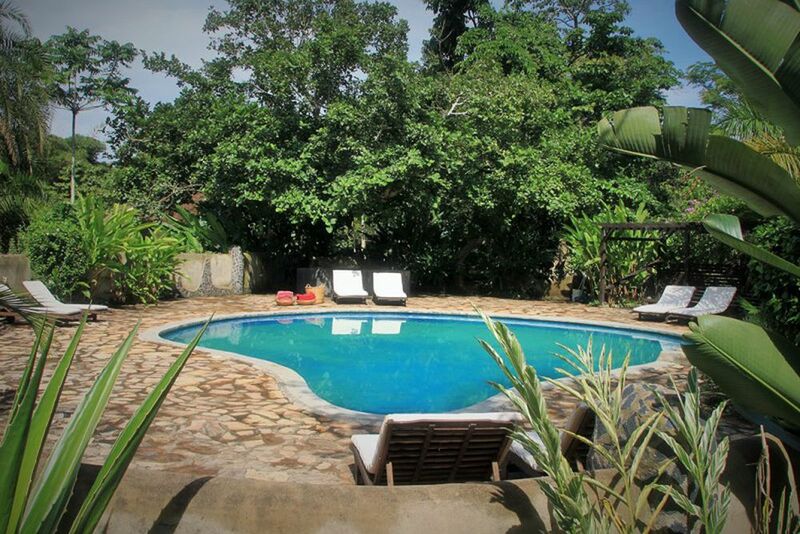 The beautiful outdoor pool invites you to relax. 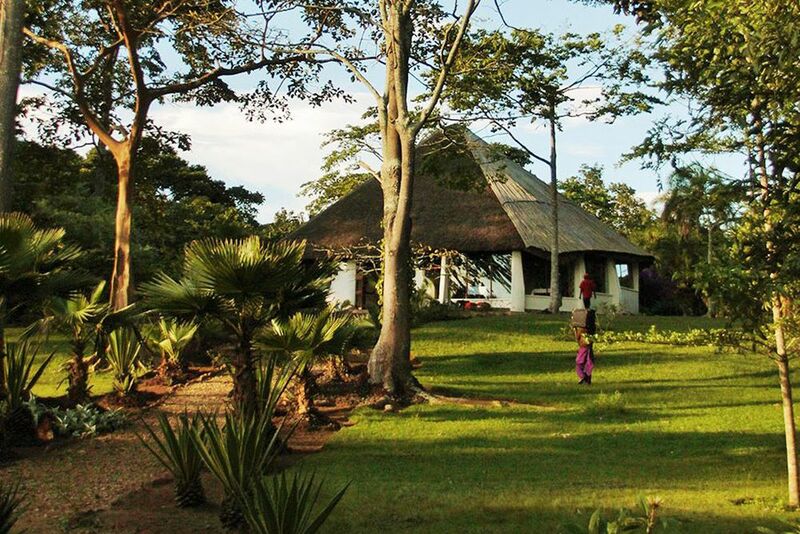 Located on the shores of Lake Victoria, Lagoon Resort offers a variety of activities. How about a kayak tour, for example? 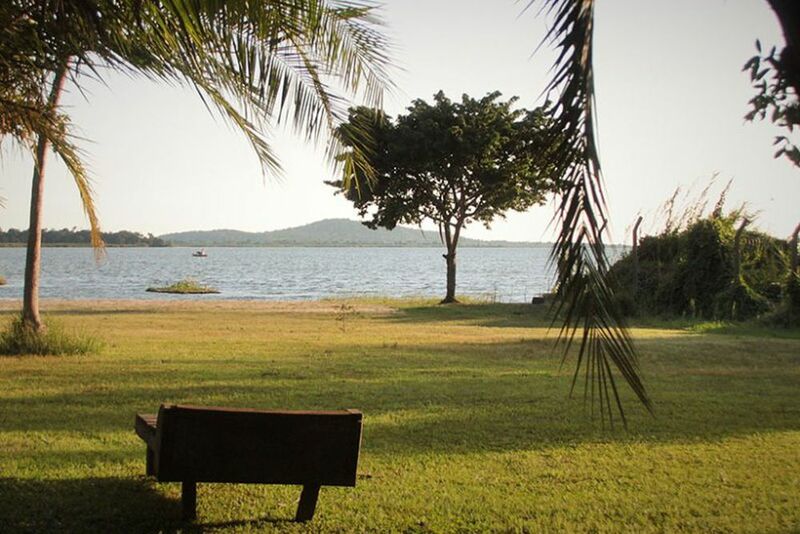 Tucked away on the shores of Lake Victoria, the environmentally friendly Lagoon Resort is the ideal place to relax after an exciting excursions! Pamper yourself with friendly, first-class service, continental delicacies, and unbelievable surroundings. Set in the four-hectare garden landscape on the shores of Lake Victoria, the charming Lagoon Resort offers a remarkable holiday experience! The hotel offers peace, relaxation and adventure so every type of person is satisfied. 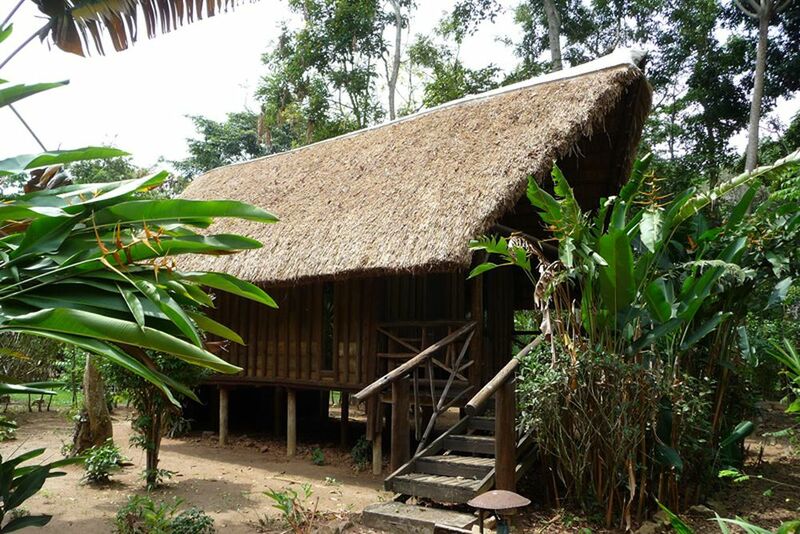 Take a guided culture and nature walk to learn about the interesting insight into local life. Be sure to keep your eyes peeled! Discover the wide variety of indigenous trees that grow in the resort’s mature garden. 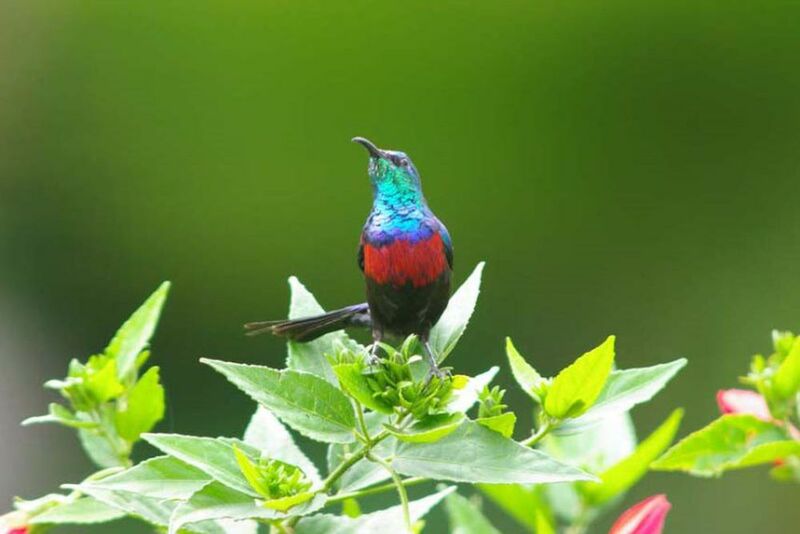 The natural diversity also attracts an array of wonder birds - so be sure to look out for new birds to add to the resort’s growing list! 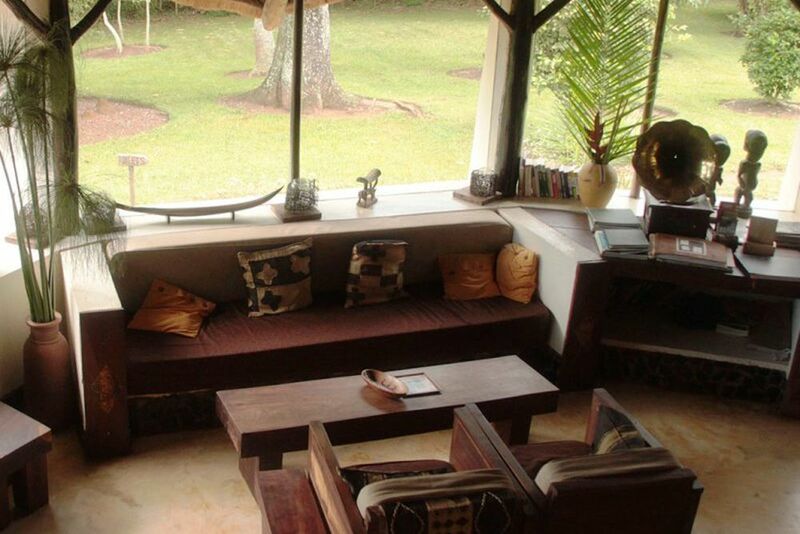 Kampala is about a 30-minute boat ride from your hotel and Entebbe International Airport is about 2.5 hours away. Lagoon Resort’s centerpiece is its most striking architectural feature, giving 180-degree view of the wildlife surroundings. Sit back and relax from the hustle and bustle of reality and relax by the glistening outdoor pool. 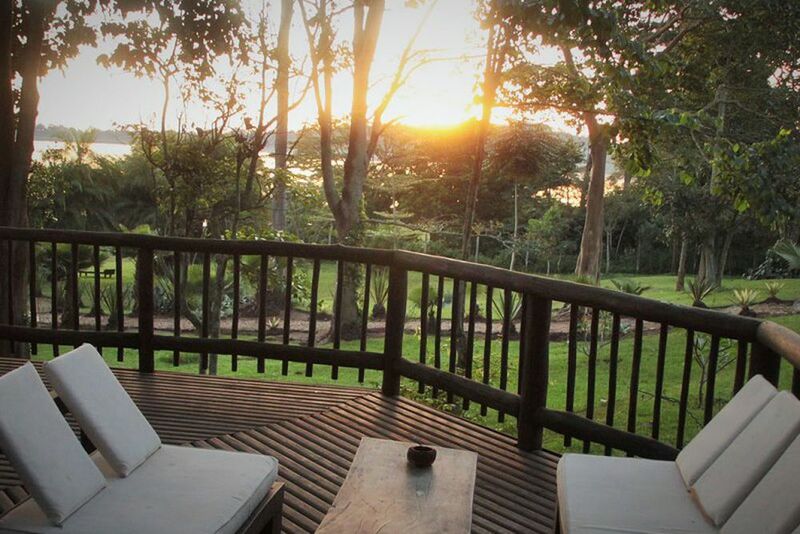 Chill out on your private veranda, on the Sunset deck or next to the fireside! There is also a lounge and small library to relax in. The most popular meeting place is the in-house restaurant. Indulge in first-class delicacies from Europe whilst enjoying a fantastic view over Lake Victoria. For lunch, try the 2-course meals and have a 3-course meal in the evening. Vegetarian options can be arranged, and the European chef can also prepare Indian and local specialties on request. The Gecko Bar is open daily and offers a wide range of refreshing drinks, spirits and excellent wines. You can use free Wi-Fi in the living and dining area. The nine secluded cottages are spaced out along a series of stone paths winding through the trees and beautiful garden. The en-suite bathrooms have hot, solar powered showers and high-powered flushing toilets. All of the materials for the construction of Lagoon Resort have been produced and sourced locally. 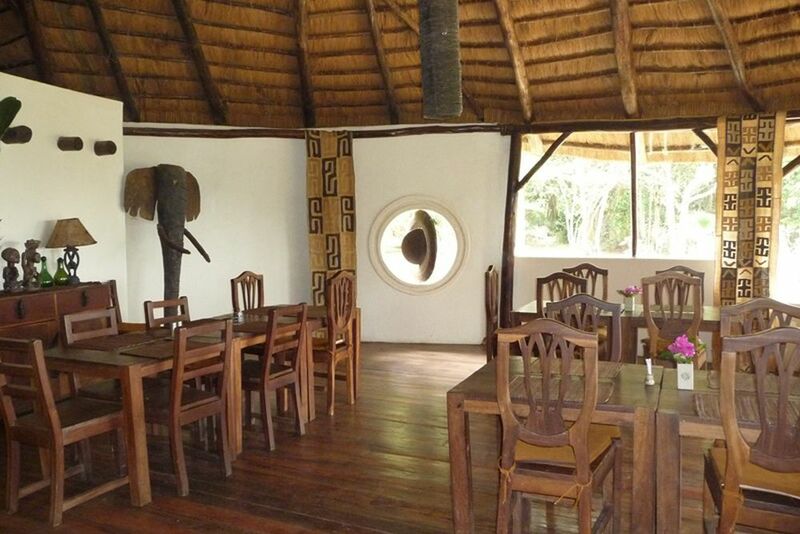 The interiors of this Africa-inspired lodge are designed to the owners’ own unique design. 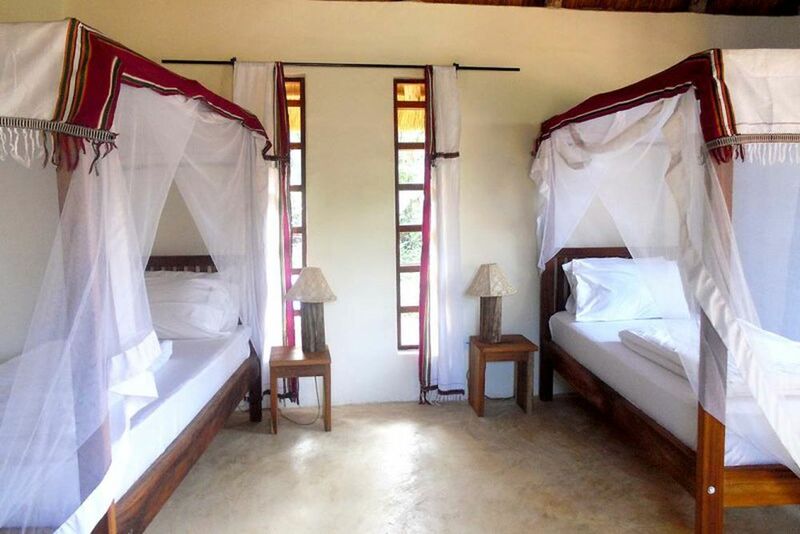 Amenities include an en-suite bathroom with a shower, mosquito nets, a private balcony and free Wi-Fi. If you wish to stay active during your holiday in Uganda, Lagoon Resort is the perfect place for environmentally friendly activities! For a fee, take part in a wide range of activities and excursions. 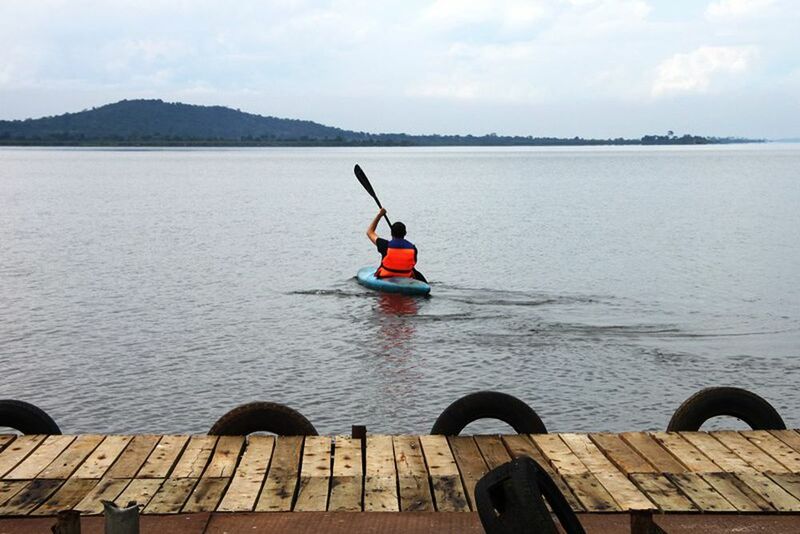 Try water skiing, jet skiing or kayaking around Lake Victoria. Take a romantic boat trip at sunset, or experience a unique hike through the lush, green rainforest.